welcome to the NEW ZEALAND wikki website! Welcome to the New Zealand official Wikki website! - All pricing in NZ$. - Flat shipping NZ$15 per order free for orders above $120. Wikki Stix has been a success trusted by kids, families, teachers, educators, carers and many others for over twenty years. 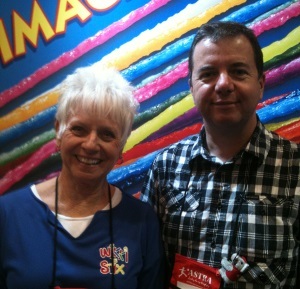 Luc (Luke) Marin, Founder and MD of Eureka Concepts, the exclusive distributor of Wikki Stix for New-Zealand and Australia, meeting with Kem Clark, President of Wikki Stix Corporation.